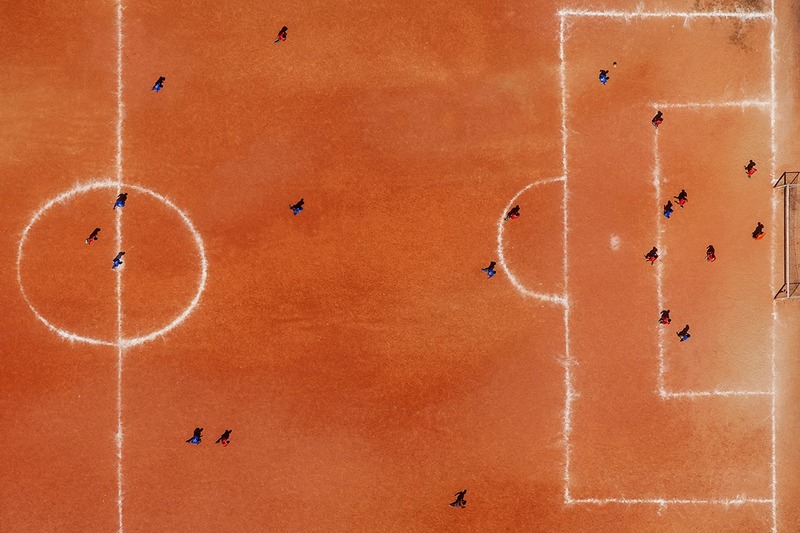 Journalist turned photograhper Renato Stockler took these incredible shots of São Paulo's football fields. 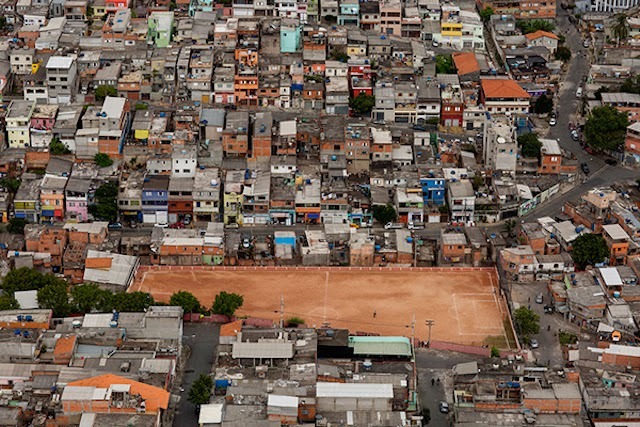 All are aerial photos of ordinary neighbourhoods in São Paulo with a communal pitch or "terrão". 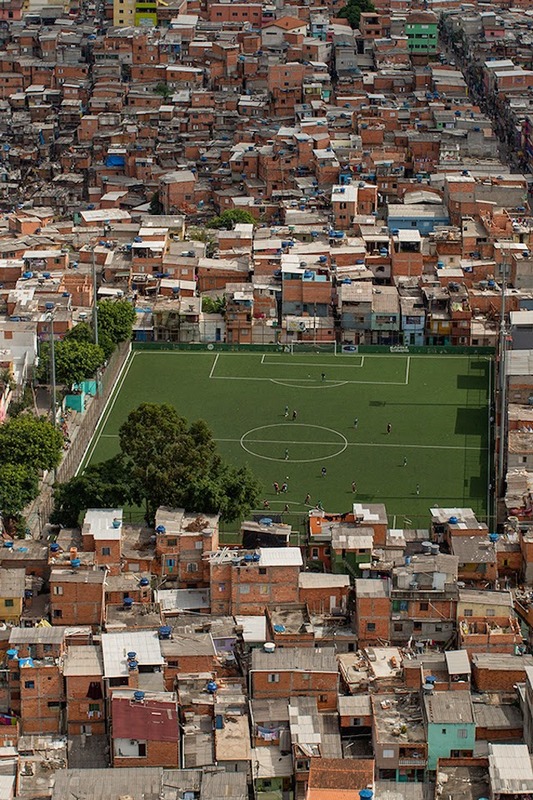 A far cry from the lavish world cup stadiums with their green grass and media friendly aesthetics, these are the hardened earth pitches on which you have to play if you are from the impoverished peripheral neighbourhoods of São Paulo. The pitches symbolise the precious little public space set aside for leisure in poorer districts. But, being less desirable neighbourhoods does not necessarily mean there is a lower demand for housing and, as many of Renato's photos show, open areas are being encroached on and menaced by property development and speculation. 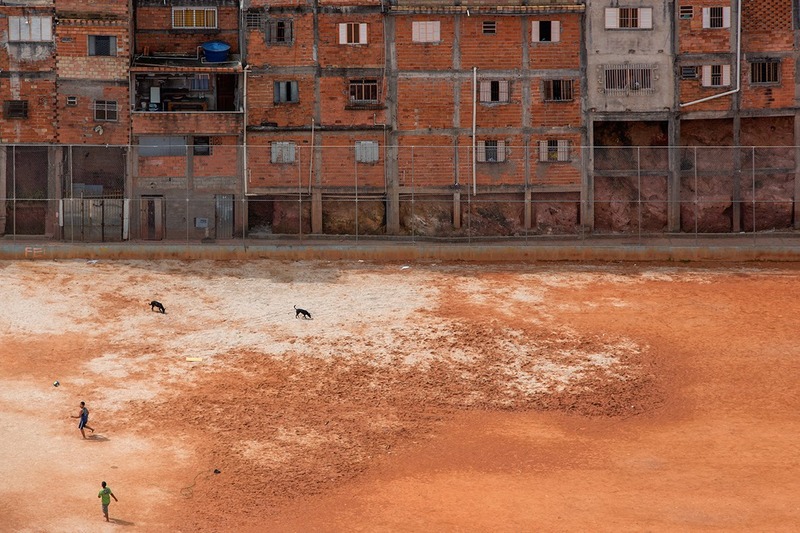 In other words, this is a photojournalistic essay of a Brazilian endangered species; local football pitches. 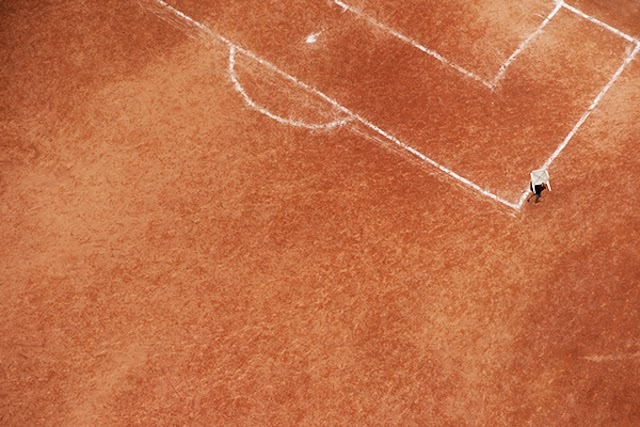 "The reddish tone of a soccer field turns into a stage for the resistance of popular soccer. Some of them have their own football clubs, while others are publics spots. Some of them are mainly dirt, while others are of sand, rests of weathered grass. 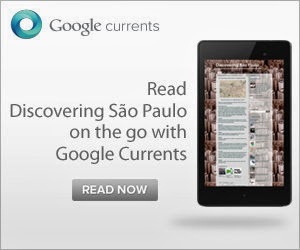 "But they are a breath [of fresh air] for the hard daily lives of those who live on the outskirts of São Paulo. 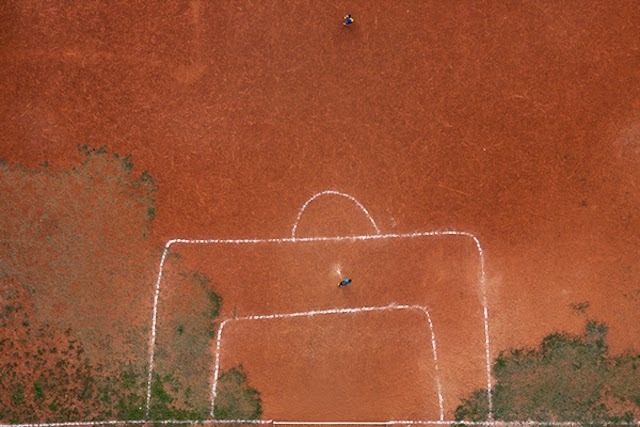 These fields show the urgent need for public and communal places to practice sports, a portrait of those who fight for leisure in a city such as Sao Paulo"